Background: Poor understanding of medical instructions or misinterpretations can be a cause for not using medication as prescribed. Previous studies reported misunderstanding of instructions and warnings on drug labels by up to 50 % of the adult population. Objective: The aim of this study was to assess interpretation of drug label instructions in different migrant populations living in the Netherlands. Methods: Interpretation of drug label instructions was examined in four populations of first-generation immigrants from the Antilles (n = 168), Iran (n = 180), Surinam (n = 155), and Turkey (n = 188). Participants were recruited at meeting places (e.g., mosques and educational or cultural centers) for the particular ethnic group. First-year pharmacy students (n = 153) born in the Netherlands were included as reference group. Correct interpretation of drug label instructions was assessed using a survey with questions about five instructions. Results: Only two out of five presented instructions were interpreted correctly by the majority of the respondents of all groups. Higher levels of education, longer duration of stay, and native ethnicity were positively associated with correct interpretation of drug labels (p < 0.05). 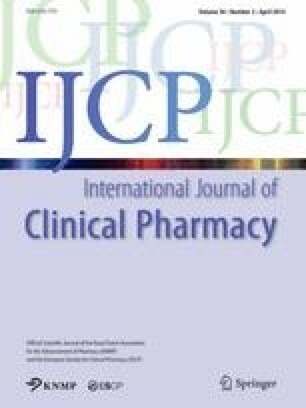 Conclusion: Incorrect interpretation of certain drug label instructions occurred among the majority of both immigrants and natives. The authors would like to acknowledge A. Gajadhar, S. de Cuba, M. Shams, N. Sezer, and P. Gilberts for all their efforts in collecting the data.